Our Adult Gecko Costume also makes a nice Adult Lizard Costume.Separate green headpiece.Green Gecko suit with attached tail.Green Gecko pants.Feet and hand covers.It is one size Fits all. 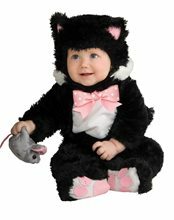 Black Inky Kitty Baby Costume.Includes: Jumpsuit with nonskid soles, headpiece and mouse rattle. 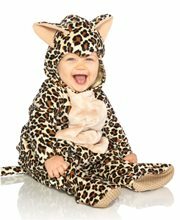 Available Size: Newborn (0-6 Months), Infant (6-12 Months), Infant (12-18 Months). (See Size Chart For More Information) *Accessories Sold Separately.Material: 100% Polyester.Care Instructions: Hand wash. Cold water. Dry flat. No chlorine bleach. WARNING!! : Not intended as sleepwear. Keep away from flame.Made in China. 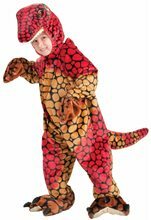 Plush Raptor Toddler Costume.Includes: Headpiece and colorful jumpsuit with attached mitts and feet. Available Size: Toddler (2-4), Child - Small (4-6). (See Size Chart For More Information) *Shoes Not Included. Accessories Sold Separately. 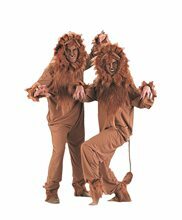 Halloween is your chance to show your fun side. 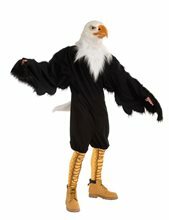 Let it shine through for everyone to see with the Plush Raptor Toddler Costume. 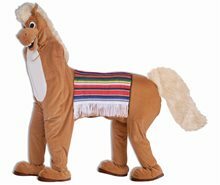 Don't forget to check out our Halloween shop for all the accessories, props, outfits, and decorations you'll need for a hauntingly fun Halloween. Includes jumpsuit with headpiece, mitts and feet.